Miss Print: The Geese Have Landed! 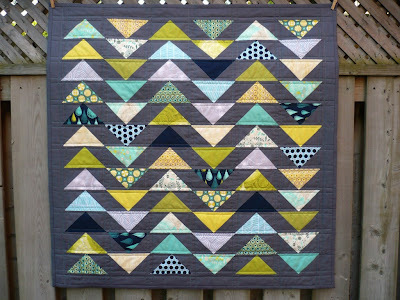 So you remember those snaps I shared a couple of weeks ago of a new quilt I was working on? You know, before my machine decided to conk out on me? 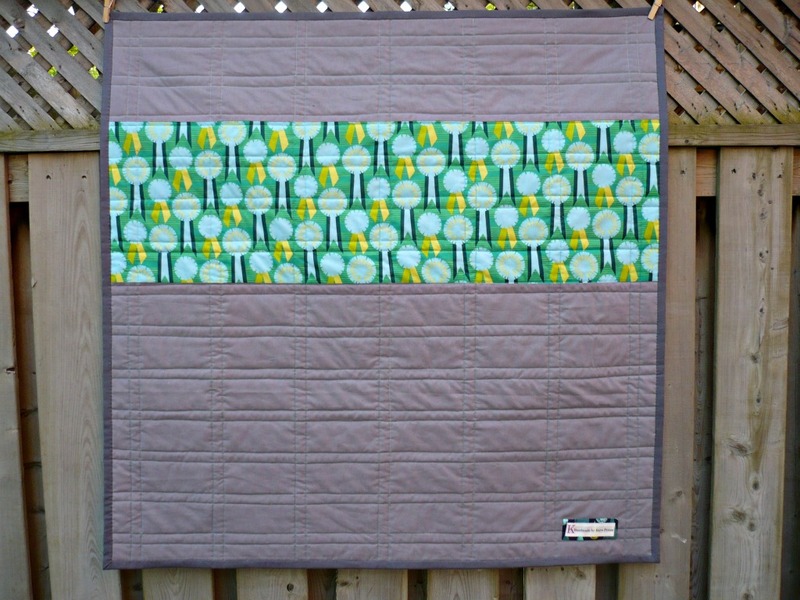 Well, now that I have my machine back, the quilt is done - woot! Wanna see? "The Geese Have Landed" features a variety of prints from Tula Pink's Prince Charming and one from Plume, a variety of prints from Joel Dewberry including Modern Meadow and Aviary, two Patty Young prints (one from Flora & Fauna and one from Sanctuary), and four solids. Actually technically six solids if you count the background and binding fabric which is Kona Coal and the backing (which I'll get to in a sec). 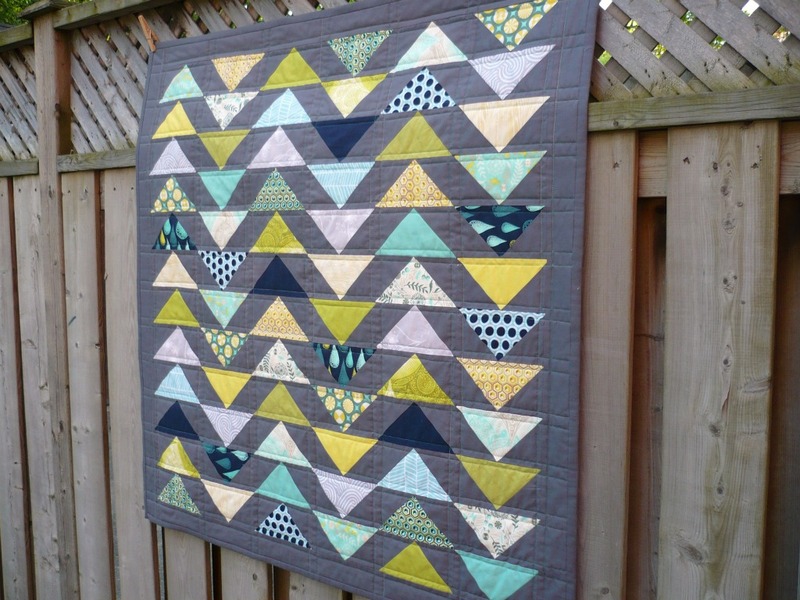 This quilt was relatively simple as it features alternating lines of geese blocks (made using the no-waste method I outlined in my Geesey-McNinePatch tutorial but on a larger scale) but I think the colours and placement of the geese blocks really adds visual interest and keeps the eye moving. 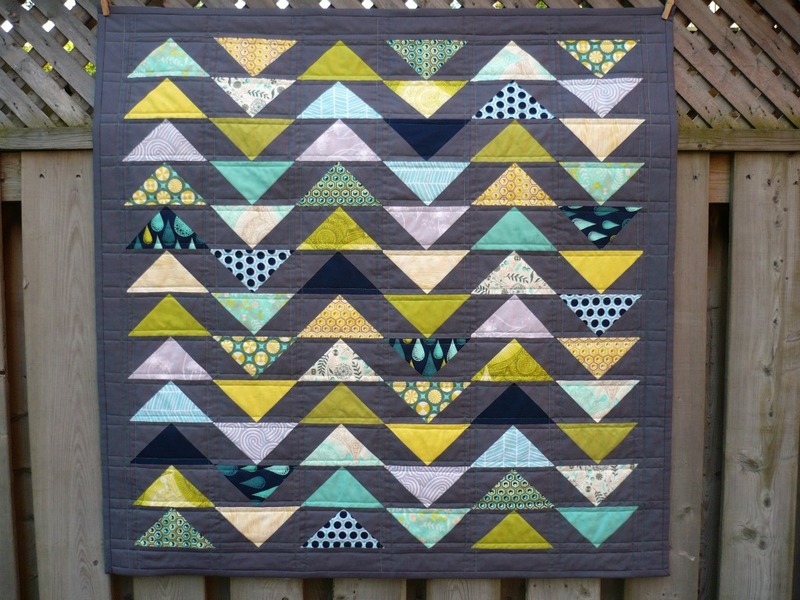 Y'all know how much I adore my Tula Pink-girl and her Prince Charming collection was really the jumping off point for the selection of the fabrics for this quilt; I also love pairing her fabrics with greys (especially Coal as you've seen in Get Stacked!) as it seems to make the colours pop even more and creates a dramatic and modern effect. The backing solid is Kona Medium Grey and I used the Champion Ribbon print from Lizzy House's Red Letter Day (which is out-of-print - so sad) to break it up and add some colour! My little label is down there too surrounded by a scrap from Prince Charming. 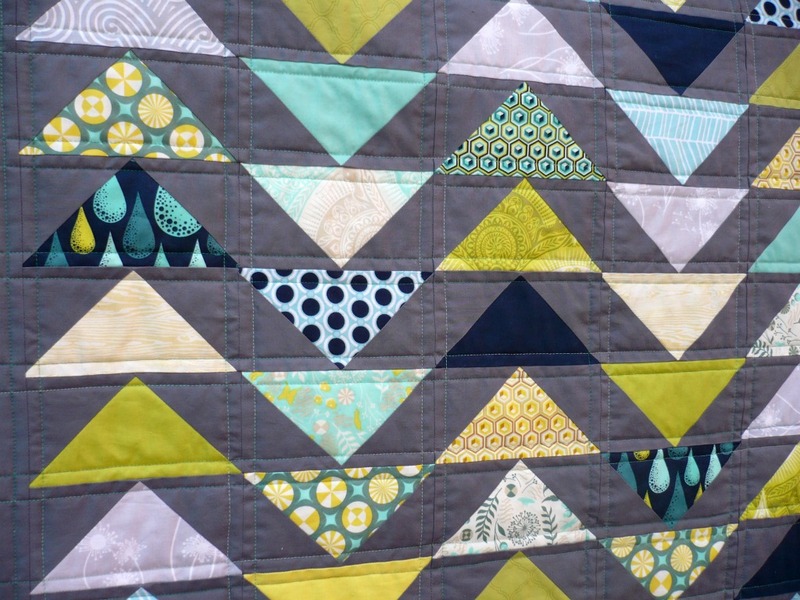 The quilts finishes at approximately 40x40" and the batting is 100% unbleached cotton. 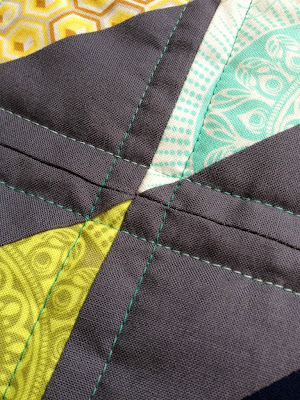 I used Gutermann cotton thread in a variegated green that shifts from emerald to turquoise to a mint green/white for the quilting - very pretty! I don't usually use variegated threads but I fell in love with this one at the shop and could not stop staring at it so I got it! I believe the colour is called Bahama Ocean. I did somewhat straight lines for the quilting - sort of let my walking foot do it's own thing without going crazy. 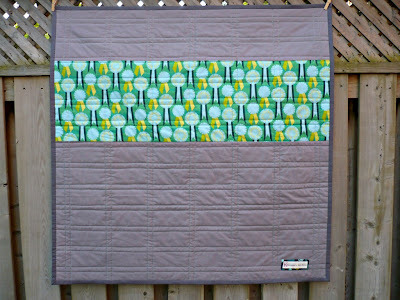 I've decided to put this little quilt up for sale in my Etsy shop! You can find the listing here: The Geese Have Landed! Really like your colour combinations on this one. Gorgeous! 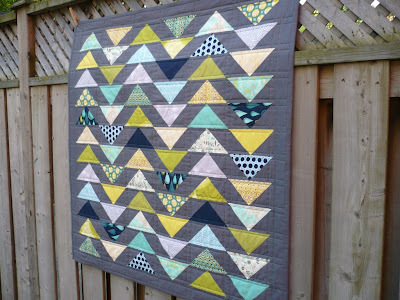 Great quilt, and I love the way you quilted it - thread and all! I like! You're right - the eye does move all around the quilt. Great job! I really love this one - simple, but stellar. Great job! This is so cute! Did you know RLD is being reprinted? 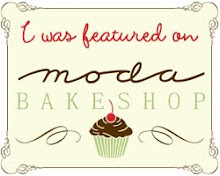 I love seeing it so I am glad I will see more! So pretty! I love the fabrics. Love love love! The colorway is fantastic, great job! 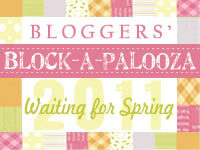 I may have to copy this combination of colors . . ..
My Little Not-At-Market Crafty Party! This Past Week + the Giveaway Winner!